3003 aluminum reacts well to mechanical finishing as well as organic finishes. Aluminum 3003 is a popular alloy that offers customers very good atmospheric corrosion resistance and moderate strength. Unlike other aluminum alloys, 3003 is weldable by conventional welding methods. It also takes cold and hot working well and has generally better mechanical properties. Due to its unique properties, aluminum 3003 is in use for a number of different applications. It is commonly used in chemical equipment, ductwork, and in general sheet metal work. 3003 is also used in the manufacture of cooking utensils, pressure vessels, builder's hardware, eyelet stock, ice cube trays, garage doors, awning slats, refrigerator panels, gas lines, gasoline tanks, heat exchangers, drawn and spun parts, and storage tanks. 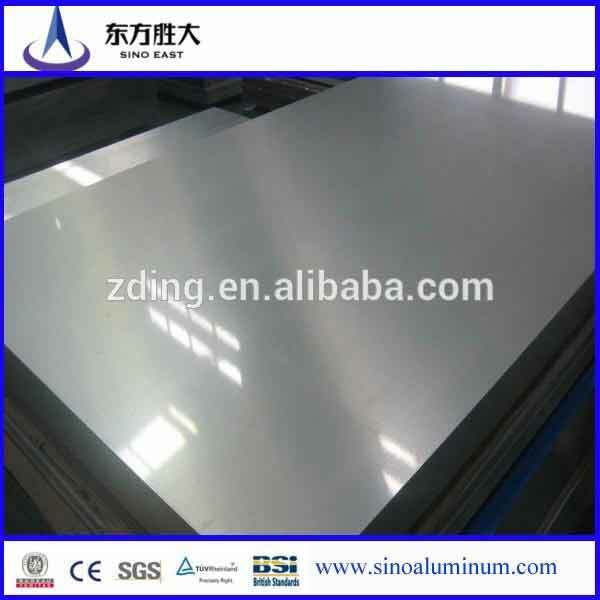 Sino East supply 3003 aluminum sheets with the thickness of 0.200-6.0.It has the temper of O, H14, H24, H16, H26, H18. The width is approximately 900-190025-1900. Sino East is a professional aluminum sheet suppliers that our company had built the quality supervision department and aluminum lab to control the quality of production which will export to other countries. If you are interested in our products, please do not hesitate to contact us at any time!